Steelhead LNG has halted the development of a multi-billion-dollar facility in Sarita Bay, casting uncertainty on a project that was expected to bring up to 400 long-term jobs to Huu-ay-aht land. The Port Alberni Maritime Heritage Society are hosting an event this Thursday, featuring the story of late Uchucklesaht Ha’wilth Martin Charles’ heroism in saving lives during a 1970’s accident at sea. Challenged to come up with a way of balancing community, culture and cash within 30 days, a small group of Tseshaht youth had no difficulty finding a worthwhile enterprise. The Nuchatlaht will be heading to the B.C. Supreme Court within a year, with a title claim that could bring widespread ramifications for First Nations across Canada. Snow and sub-zero temperatures forced the postponement of the 2nd Annual Walk for Missing & Murdered Women, Men and Children in Duncan on Feb. 9. When a person stands next to a river or the ocean, their heartbeat changes to more closely align with the natural ebbs and flows of the water. Many of us have heard the phrases ‘long time, no see’, ‘hip, hip hooray’ and ‘peanut gallery’ all our lives but how many know the racist beginnings of these phrases? In a declining local industry marked by mill closures and a reliance on the export of raw logs for manufacturing overseas, the Huu-ay-aht First Nations plan to nearly triple their forestry workforce. Ten Nuu-chah-nulth students recently graduated from the North Island College (NIC) Red Seal Carpentry Level One course. At Nuu-chah-nulth Seafood Development Corporation, their “Gratitude” is about to show, big time. After being named to the Order of Canada over a year ago, Judith Sayers finally received the recognition on Friday at a ceremony in Ottawa. The Maa-nulth Treaty Society has called a recent killer whale critical habitat order into question by filing for a judicial review of the DFO’s consultation process. The legal fight for future generations to pursue a livelihood on their territorial waters continues next week, when five Nuu-chah-nulth nations return to court for a fisheries rights appeal. A log jam caused by a series of landslides triggered after an early November rainstorm has been cleared, thanks to the efforts of several volunteers, non-profit agencies and First Nations neighbors. With chinook stocks in collapse, a provincially funded fish-health research centre opening in Nanaimo is urgently needed by communities hoping to rebuild their struggling fisheries. Beaver Creek resident Wendy Edwards is concerned about a proposed 57,000-square-foot marijuana growing facility that could be built right next door. Fisheries in Nuu-chah-nulth territory could face further restrictions this year as the DFO tightens its measures to protect the habitat of endangered killer whales off the west coast of Vancouver Island. 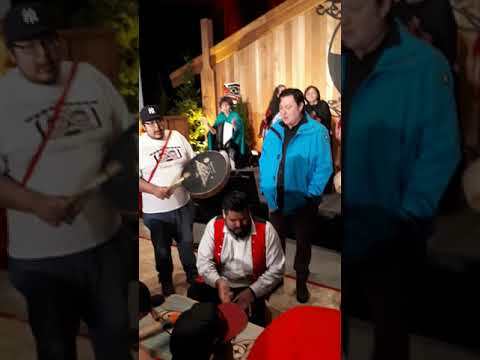 2019 is being celebrated as the UN International Year of Indigenous Language and the University of Victoria has been chosen as one of the sites for a major UNESCO project. The Tseshaht First Nation (TFN) and the Port Alberni Port Authority (PAPA) have signed an agreement to formally establish a cooperative and collaborative relationship between the two parties.